Stegmann has been making quality clogs since way back in 1888. After testing out the Women’s Original 108 Wool Clog, it is easy to see why they remain a fan favorite. The Stegmann Original 108 Wool Clog features a Tyrolian & Merino wool blend that is hand felted, or spun into a cohesive fabric. 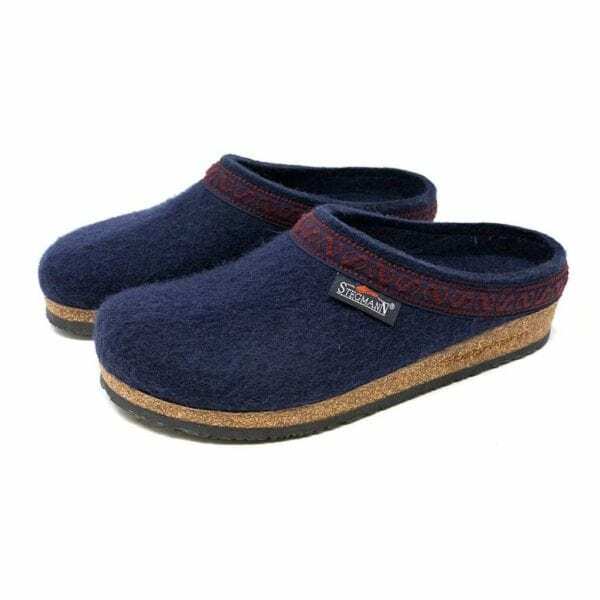 The upper of the Original 108 Wool Clog is therefore seamless, which provides ultimate comfort and warmth without any hot spots or rubbing. 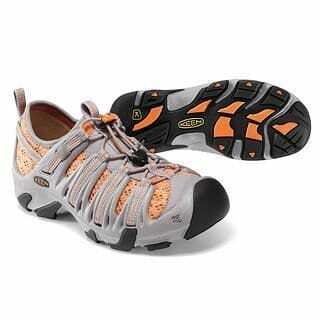 Stegmann offers the Original 108 Wool Clog in 13 fun colors for women and 3 colors for men. 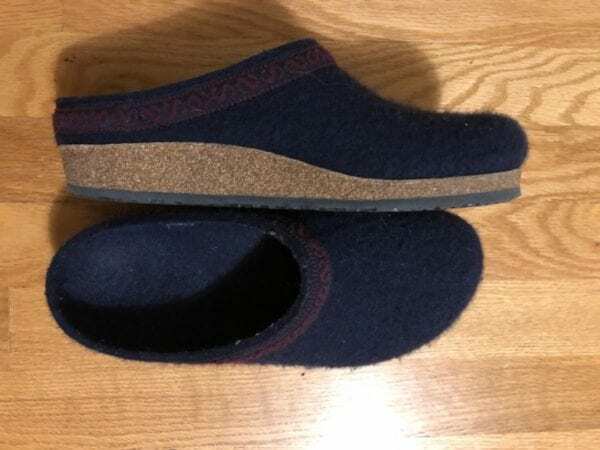 The Stegmann Original 108 Wool Clogs are extremely comfortable thanks to a gradual heel drop, or transfer from 1″ in the heel region to 3/4″ in the toe box. 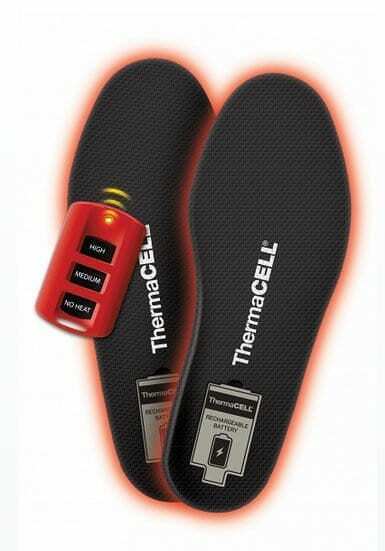 After a few weeks, the insole begins to mold to your foot and creates a comfortable and supportive platform. The cork and rubber outsole offers plenty of protection without a lot of weight. These clogs have become my favorite go to for inside the house, as they are warm and more supportive than house slippers. The Original 108’s also help to keep my feet dry from all the snow that the dogs bring in during the winter. The Stegmann Women’s Original Wool 108 Clog is available in 1/2 sizes from size 5.5 to 10, and then in size 11. Stegmann recommends sizing down by a 1/2 size to one full size from your regular dress or casual shoe. I typically wear a size 9.5 and size down to a 9 for shoes that mention that they may run bit. I opted to test a size 9 and found these clogs to be a bit on the roomy side. 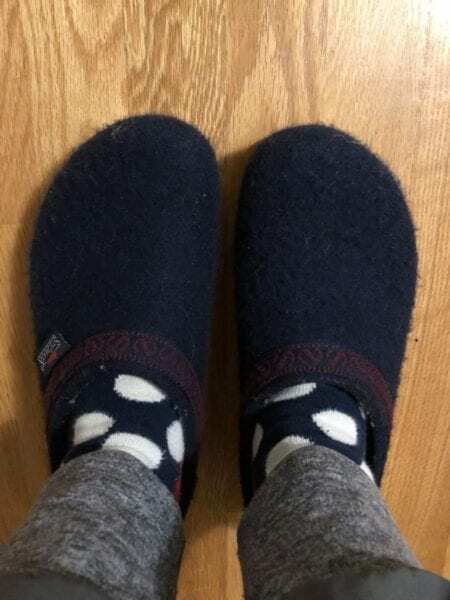 The length is nearly spot on, however as the wool stretches out with regular use (as mentioned by Stegmann) and the toe box has become more roomy. This isn’t a big deal for me, as I typically wear these clogs in the house with a pair of thick Smartwool socks. However, I cannot wear these without socks. With that said, I still feel like I should have followed the recommendation of Stegmann and their very handy size guide, and rounded down to a size 8.5. For a precise fit, check out Stegmann’s handy size guide, available here. Available in 13 different colors for Women: Graphite, Black, Grey, Dark Magenta, Navy, Firebrick Red, Teak, Ocean Blue, Pine Green, Lime Green, Merlot, Heather Brown, and Turquoise. 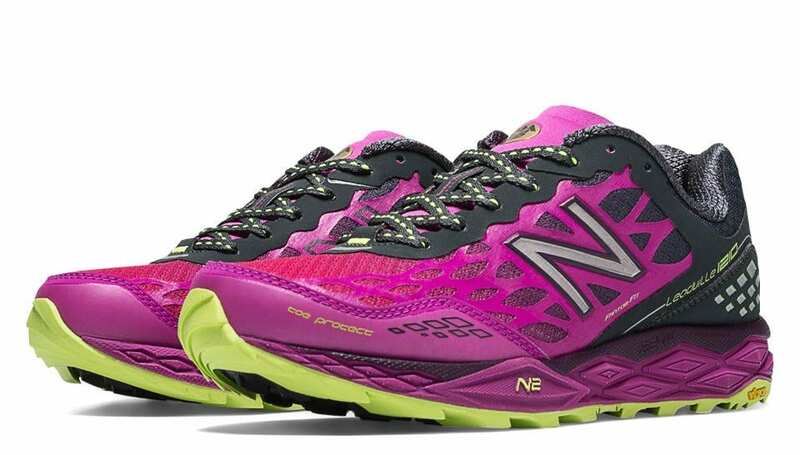 Cushioned arch, metatarsal, and toe support. 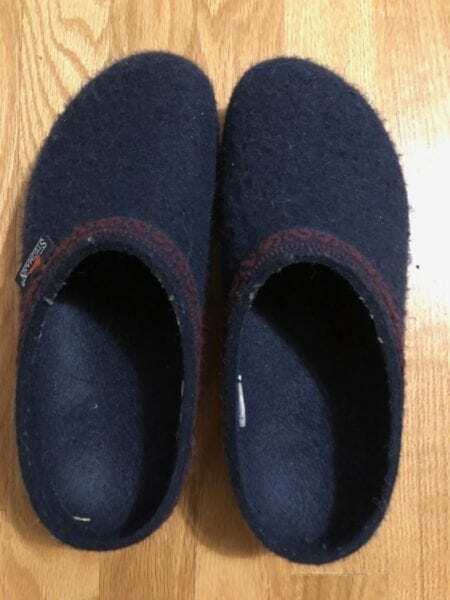 The Stegmann Original 108 Wool Clog is much more supportive than a slipper or pair of Uggs. 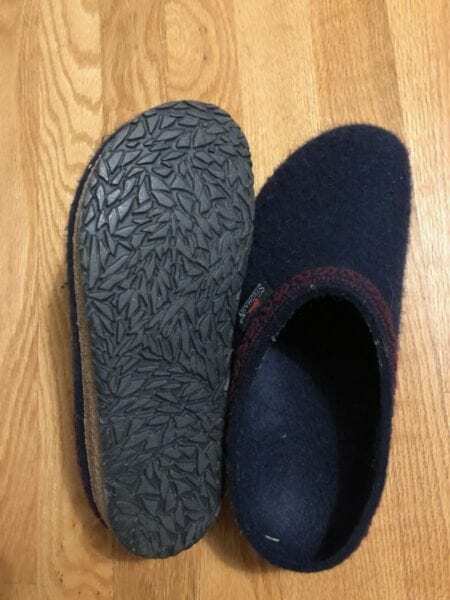 They are the ideal house shoe for not only warmth, but also comfort. These clogs are the first thing I put on after a long day at work. My only wish is that I could wear them more outside of the house. Unfortunately, we have a lot of snow and moisture and that may harm the wool upper. In the future, I may need to pick up a pair of Stegmann Classic Leather Clogs!